Its a matter of curiosity and interest of every avid mobile user that whether the latest and more polished iPhone 3GS will bite the dust before Nokia N97? This is when we know that Nokia N97 has its shear elegance and monstrously powerful features? Here is a relative study to find the answer. Read on to know the outcome. Touchscreen and Display The displays of both is same at some 3.5 inch in size but with a higher resolution of 640 X 360, Nokia N97's display looks clearer as iPhone's has 320 X 480 pixels display only. iPhone scores over touchscreen functionality and compensates for a lower resolution. The iPhone's capacitive touchscreen has very good sensitivity and requires almost little pressure application for operation than Nokia N97's pressure sensitive resistive touchscreen which needs a little more pressure to ensure the touch action. 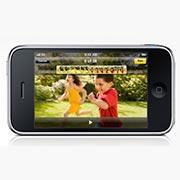 Memory The iPhone 3GS is available in two varieties of 16GB and 32 GB internal memory. The Nokia N97 beats it competetitor infact many other phones as it has the largest storage capacity with its internal storage of 32 GB that is expandable by 16 GB more with additional micro SDHC card making a total of 48 GB. Processor, RAM The GPU used in both the phones are similar PowerVR SGX graphics supporting OPENGL ES 2.0. However, N97 uses ARM 11 CPU which clocks at 434 MHz and 128 MB RAM compared to iPhone 3G S which has ARM Cortex A8 processor clocking at 600 MHz and 256 MB RAM. The verdict is clear that iPhone 3G S has more speed than N97. Operating System Though Nokia N97 has JAVA support and Apple iPhone 3G S does not have it and lacks Flash also. Nokia N97 runs the Symbian v9.4 Series 60 rel 5 OS whereas for iPhone OS 3.0 is available. The iPhone OS apart from being a stable multi-tasking platform with ease of software development, is more internet ready than the N97 which haven't even got a decent browser. What makes iPhone best in this relation is that its every aspect is designed keeping in mind that today people live on internet. Configuring a new e-mail account, e-mailing pictures and general web surfing is a breeze on iPhone. 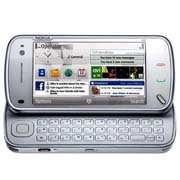 The N97 is also claimed to be internet ready but doing things is not that pleasurable experience as the iPhone. Apple i Phone 3G App Store / Ovi Store Apple's iPhone is known for its App Store. iPhone is primarily purchased because it has great apps to go with. On the other hand, the Nokia N97 comes with preloaded Ovi Store to easily pick up any applications. Also you can pick your programs from wherever you like online. So it is not like the beautiful walled garden of apps from iPhone where you cannot get access to apps outside the Apple garden! Thanks Nokia for providing such flexibility. Keyboard Since a hardware keyboard is always better for purpose of fast, accurate and easy typing so the QWERTY keyboard is the winning feature of N97 over the iPhone. Anyone who have to type a lot for mailing or other purpose in their phone would simply hate the virtual keyboards of iPhone. Connectivity Both the phones are Quad Band enabled units capable of operating worldwide at GSM 850/900/1800/1900 bands. The 3G Bands though are slightly different. iPhone uses HSDPA 850/1900/2100 bands whreas N97 uses 900/1900/2100 bands although there is an American version available which has 850/1900/2100 bands. The iPhone 3GS also supports 7.2 Mbps whereas N97 supports 3.6 Mbps speed. Both devices support Bluetooth 2.0 with A2DP but not infrared for local connections. EDGE, 3G and GPRS is supported and both devices are compatible with Wi-Fi 802.11b/g networks. New Nokia N97 Camera Though Apple have made a marked improvement by making their crappy 2 mega-pixel camera module of the old version to incorporate autofocus and a higher 3 mega-pixel resolution but still N97's camera with 5MP resolution and Carl Zeiss optics is a far better option. N97 can also shoot at low light using its LED flash but that is lacking in the iPhone. Also N97 has both video and the photo editor already available. So also is the DVD quality of video captured by N97 that looks far better than of iPhone 3G S. GPS Both devices have built-in GPS receivers but the Apple iPhone 3G S uses a Google Map application while the Nokia N97 uses its own Nokia Maps 2.0 application with turn-by-turn ready to go out of the box. Battery The Nokia N97 have a 1500 mAh battery but there was no information on the battery of the Apple iPhone 3GS. Size and Weight The phones are similar in volume, though N97 is thicker by a few milimeters than the iPhone 3GS and slides open to look a bit more thicker. The N97 is slightly heavier at 150g whereas iPhone 3GS weighs only 135g. Other Features Both phones have the digital compass and TV Out port as well as a 3.5 mm headphone jack. But Nokia N97 has Stereo FM radio with RDS, Visual radio; FM transmitter which the iPhone 3GS lacks. Where Nokia N97 scores over iPhone 3G S * Wide Connectivity - MicroSD, MicroUSB, USB for Mass Storage, Bluetooth File Transfer * FM Radio * Handwriting recognition * Camera : 5 MP over 3 MP, High Resolution Video, Flash Light * Memory : 32 + 16 GB is maximum for a mobile Where iPhone 3G S scores over Nokia N97 * Processor : Faster 600 MHz Cortex A8 processor than 434 MHz ARM 11 processor * RAM : 256 MB over 128 MB * Touchscreen : Better response and multi-touch capabilities * HSDPA : Higher 7.2 Mbps speed * Thousands of App Store Apps * Light weight 135g over 150g of N97 The Bottomline Well both are at par, with their own original and unique features and we can simply say that there is a tie between the two great phones from two reputed brands with worldwide phones. Apple shows the popularity of their iPhone has not faded by removing all the drawbacks and adding more features to their new phone. Nokia N97 is a popular one too with its own admirers. is also a unique device with its own lovers.